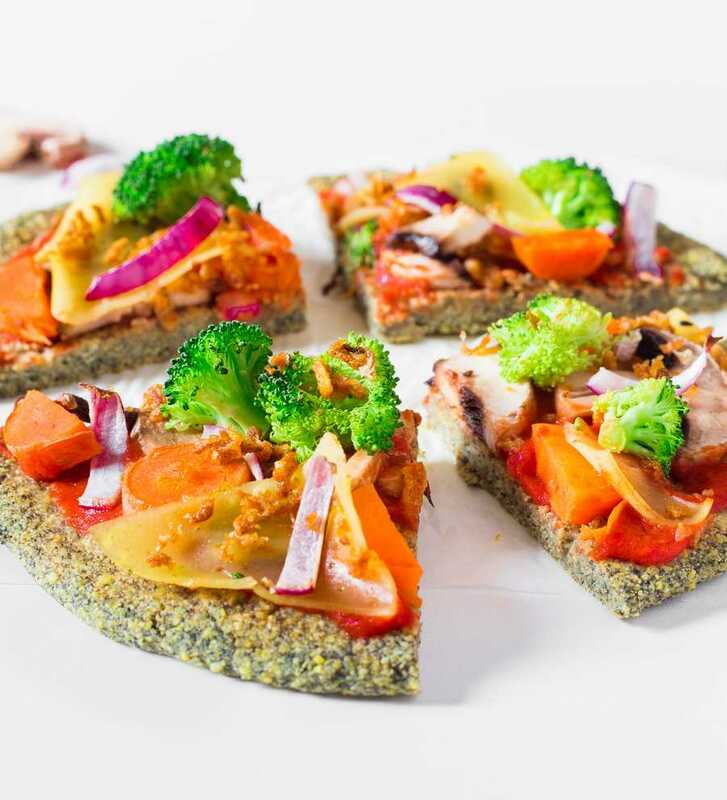 This Lentil Crust Pizza is a healthy and high-protein meal idea that is ready in 20 minutes! 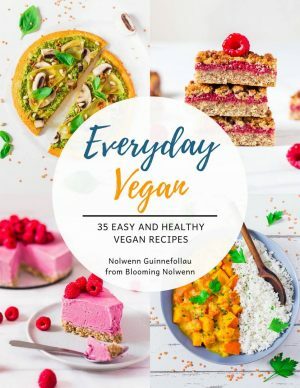 Vegan, gluten-free, oil-free and delicious! 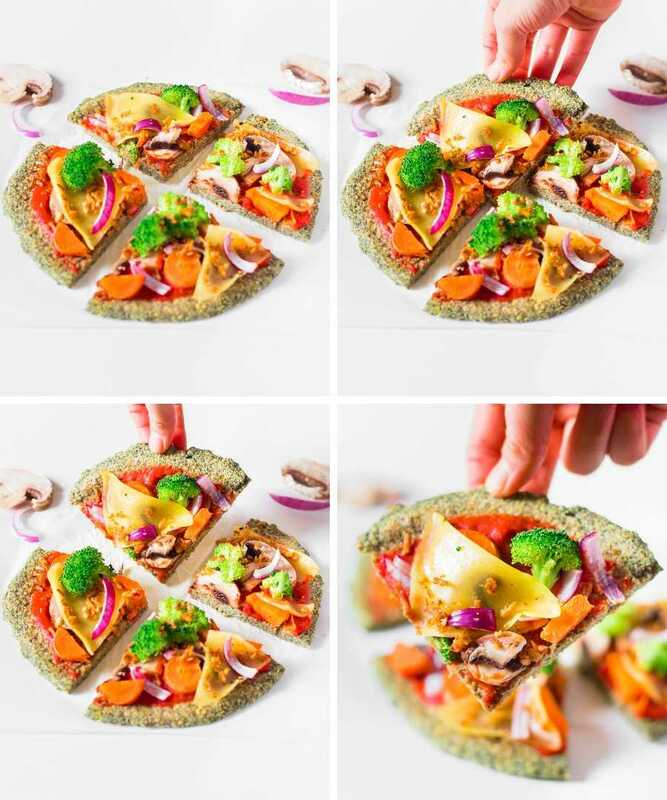 If you’re in need of healthy and easy lunch or dinner ideas, this pizza recipe is for you. This Lentil Crust Pizza is ready in 20 minutes and is great for meal prep. If you decide to make it ahead on the weekend, you can store it in a glass container and take it with you to work throughout the week. 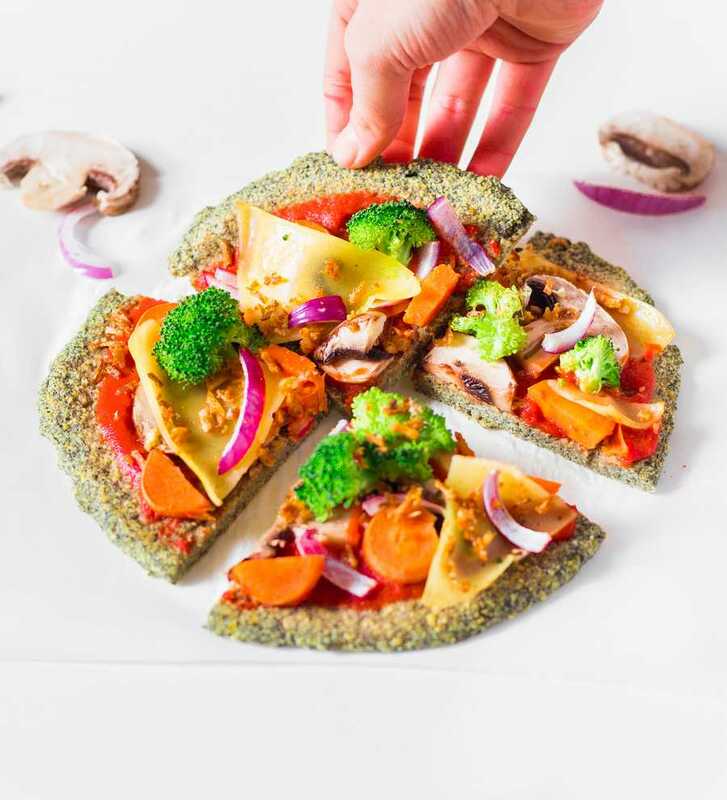 Since this crust is literally just made of lentils and water, it contains a generous amount of fiber, carbs and protein. 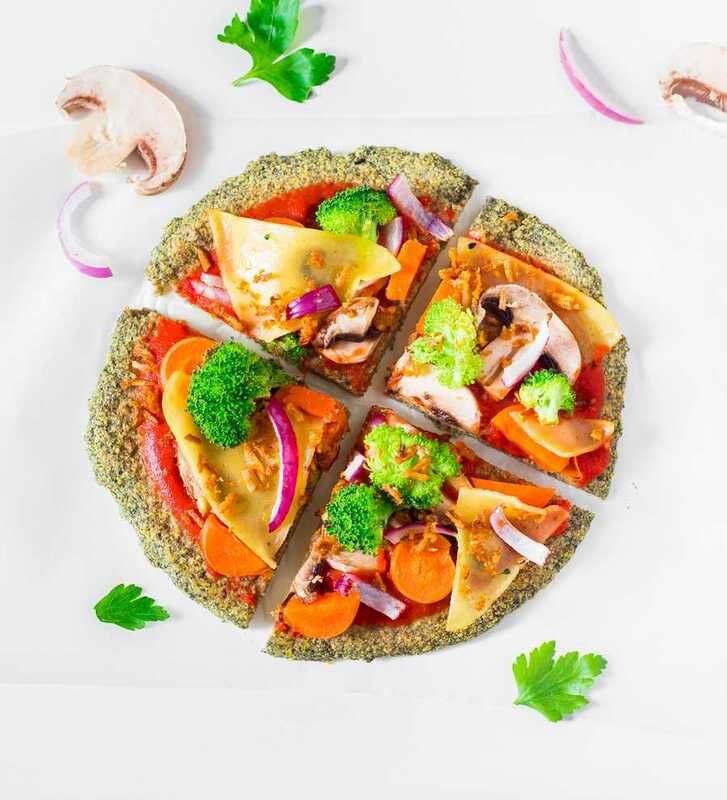 It’s very nutritious contrary to the classic pizza dough which is generally made of white flour, oil and water. 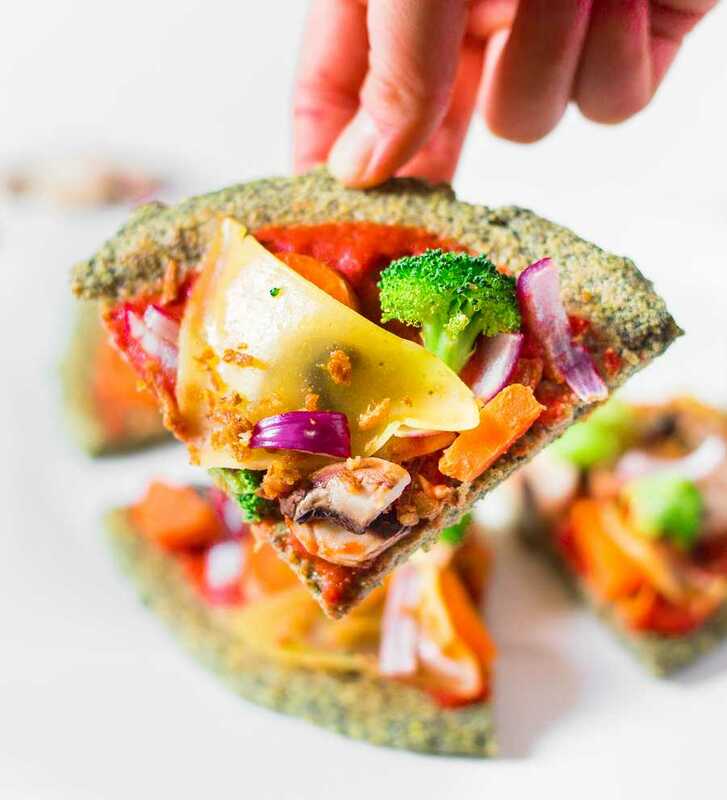 Of course there’s nothing wrong with a classic vegan pizza once in a while, but I personally feel way better after eating this lentil pizza than I do after eating a classic vegan pizza. 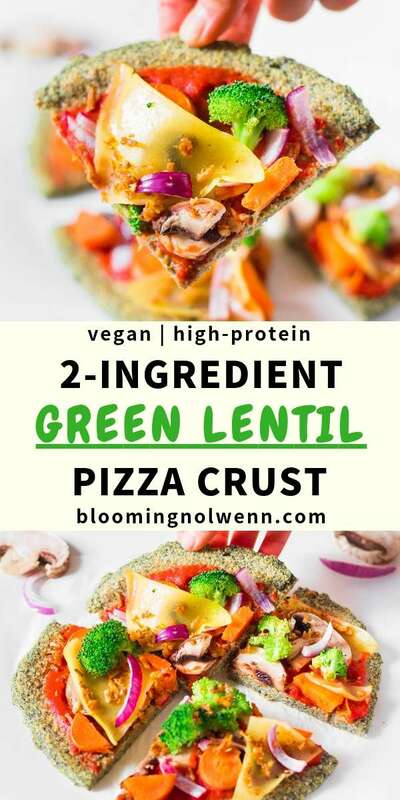 To make this lentil pizza crust, I simply blended uncooked green lentils until they resembled a fine flour. You can also buy lentil flour but I prefer to do it myself. 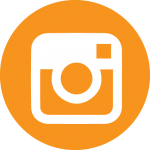 I always use the Tribest Personal Blender which works very well. Then I whisked the lentil flour, water and curry powder together and poured half of the batter on a hot pan. (The recipe makes two pizza crusts). I cooked the crusts like pancakes, placed them on a baking tray and added my toppings. Finally, I cooked the pizzas for 10 minutes and we enjoyed them for dinner. Place lentils in a high-speed blender. Working in batches if needed, blend until they resemble a fine flour. Transfer to a bowl, add water and curry powder and combine with a wisk. Heat up a frying pan and grease it slightly. Pour half of the batter and spread it with the back of a spoon. Cook 3 minutes over medium heat, then flip over and cook 2 minutes on the other side. Preheat oven to 350F or 180C. Place the crusts on a baking tray lined with parchment paper. 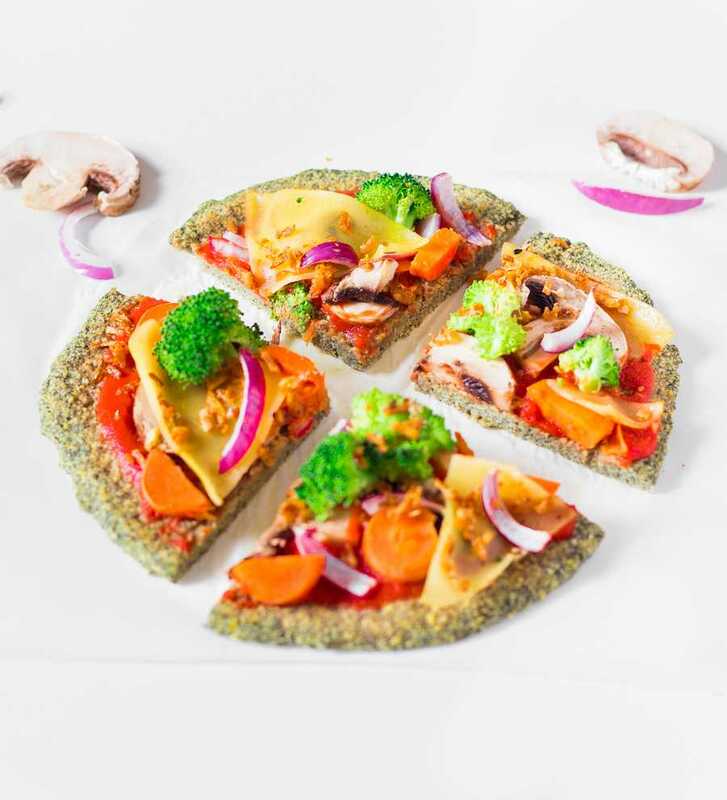 Prepare your toppings, slice your veggies and add them on top.